Hot yoga immersion teacher training program with Evolation Yoga consisting of four weeks of hands-on yoga education and teacher training led by passionate yoga instructors who will support you in becoming a registered yoga teacher. Join us in Bali, Indonesia for a transforming four week yoga teacher training while you expand your knowledge of yoga and enhance your own personal practice. Trainees for our 4-Week 250hr Hot Yoga Teacher Training in Bali will be training and staying at Cosmos Oasis, a welcoming space in the heart of Bali featuring private and shared rooms; an on-site yoga shala, restaurant, outdoor pool and hot tub, garden and plenty of Balinese landscaped space to explore and enjoy. Spaces are limited for this training, send us a message to discuss room options and booking preferences. All meals served during this training are included in the YTT program and will be sourced locally with a majority of the vegetable and herb produce coming from the on-site Cosmos property gardens. 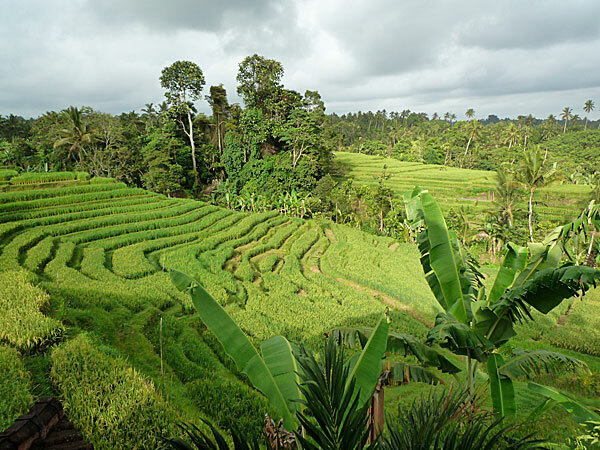 Enjoy delicious, Balinese cuisine inspired foods full of flavor and nutrition while you train with us in Bali. 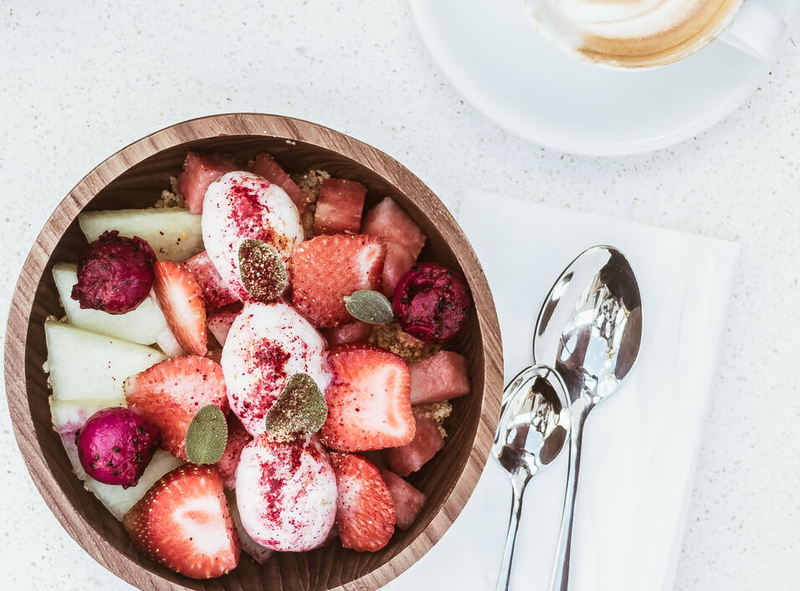 Please let us know in advance if you have any food allergies or dietary requests/restrictions so that we can work with the kitchen team to accommodate for you. Send us a message with any specific food questions or requests that you may have. This Bali hot yoga teacher training is being held at Cosmos Oasis, located about 20 kilometers from Ngurah Rai International Airport (DPS). Transportation is not provided to or from this teacher training location but just let us know if we can help to make suggestions and referrals for local shuttle and transportation services for you. Send us a message if you have any questions about getting to and from this training. 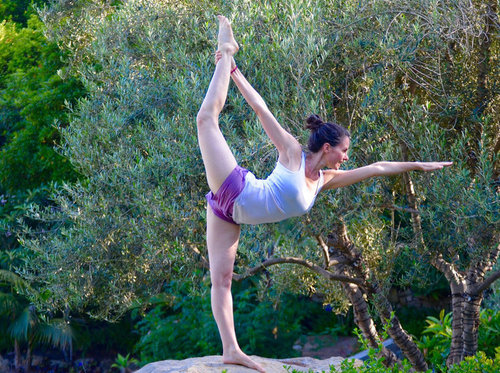 Zefea had her first experience with yoga at the age of four, when her parents practiced with the renowned teacher Angela Farmer in the Iyengar tradition. She graduated from Bikram’s teacher training in 2005 and represented the Netherlands as the Dutch gold medalist three times in the international yoga championships, all those years finishing in the world’s top ten. In 2009 Zefea and her husband, Mark Drost, founded evolation in a desire to evolve the way the primary hot series is passed on and focus on a collective and community approach. They have conducted hot yoga teacher trainings since. Over 100 trainings and more than 1000 trainees later, Zefea feels that they truly have developed an inspiring and effective service. Zefea is thrilled to be working together with so many amazing teachers. In every training she keeps learning and growing herself and aims to improve further on what she can offer her students. Claudia Debs is a fervent student of this thing called life. In 1997 while attending NYU, Claudia walked into the Jivamukti Yoga School on Lafayette in New York City and took her first yoga class. Having grown up with a background of physical disciplines, there was an instant connection to the graceful command and potential of the human body that the practice enables. When she’s not teaching, she’s reading, writing, listening to music, going to a concert, or traveling. She is beyond ecstatic and grateful to be working with the Evolation team. Evolation Yoga teacher training programs include the basics of yoga and meditation along with yoga education essentials and activities designed to increase your knowledge of yoga while enhancing your ability to teach and share with others this healing hot yoga series practice. Our curriculum is meant for all practice levels, regardless of prior training and/or teaching experience. Evolation Yoga is a Yoga Alliance accredited yoga school and we are here to help you continue your yoga specific education and become a registered yoga teacher through our dedicated teacher training programs. 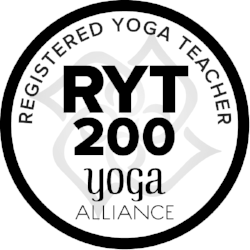 After you complete our 4-week Hot Yoga Immersion Training, you will receive a RYT 200-Hour registration certificate through Yoga Alliance and you will be fully certified to teach the hot 26+2 series yoga classes. Our Early Bird Discount rate is $6,000 USD for this training. Save $500 USD on this training with our Early Bird Discount when you pay $6,000 USD in full at least 90 days prior to the start of your training. Perhaps one of the most popular travel destinations for yoga teacher training's (and retreats), Bali provides a perfect oasis to train and grow with all of the bliss and warm tropical beach weather included. We are blessed to be offering our hot yoga teacher training in Bali and hope you can come train with us for a truly memorable, Balinese influenced experience. Spaces are limited for this training and are filled on a first come, first served basis so send us a message with your booking requests so we can help to reserve you a spot with us in Bali. 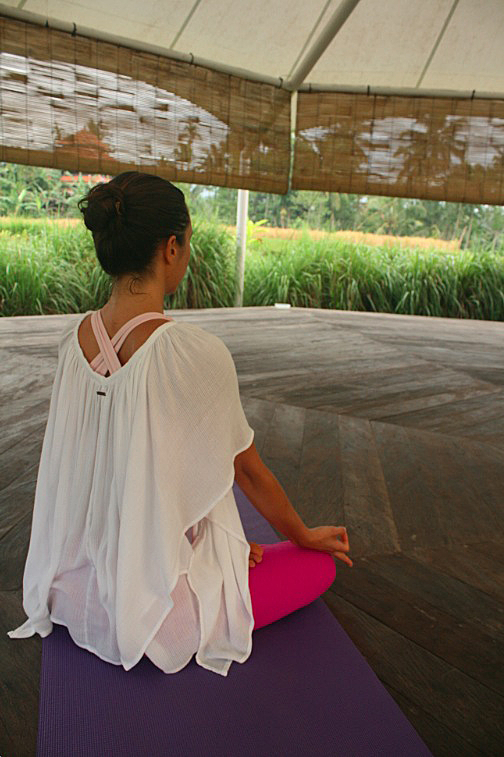 Now Accepting Applicants for Hot Yoga Teacher Trainings in Bali!